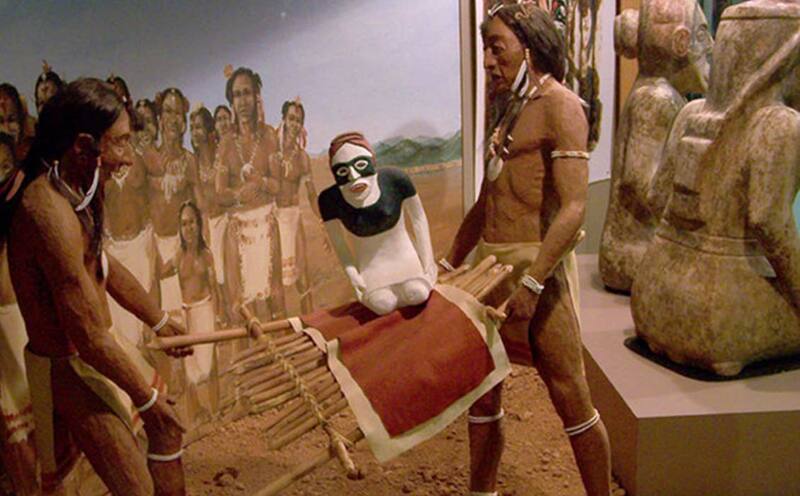 The Prehistoric Native Americans of the Hopewell culture (Middle Woodland Period) constructed burial mounds filled with precious artifacts such as shells, copper and silver items, obtained from established trading networks crisscrossing America. Between 200 BC and 500 AD, the State of Minnesota was host to several manifestations of the culture of the Hopewell mound builders. 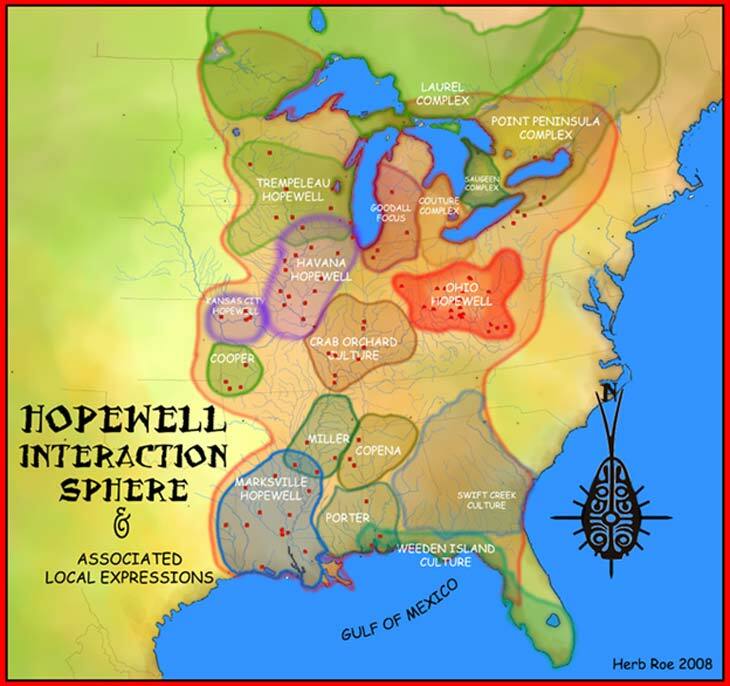 Many archaeologists believe that Minnesota Hopewell culture was the result of a diffusion of traits of the contemporary Havana Hopewell of Illinois and Wisconsin. According to Gibbon the traits of Havana Hopewell may well have spread into Minnesota, via a system of vision questing wherein exotic objects were considered to bestow supernatural powers or attainment upon their owners. This situation may have given rise to the practices of people involved in the Malmo culture centered in the region around Mille Lacs. The Malmo people were organized as small bands of seasonal hunters, who buried their dead in conical mounds. Malmo sites typically consist of groups of tumuli containing bundle burials with no grave goods. Ceramics from these sites indicate ties with other Hopewellian groups in north-eastern Iowa, south-western Wisconsin and Illinois.